Today we had the pleasure of interviewing Jean Galea (Founder) and Mark Zahra (CEO), the team behind the popular WP Mayor blog. 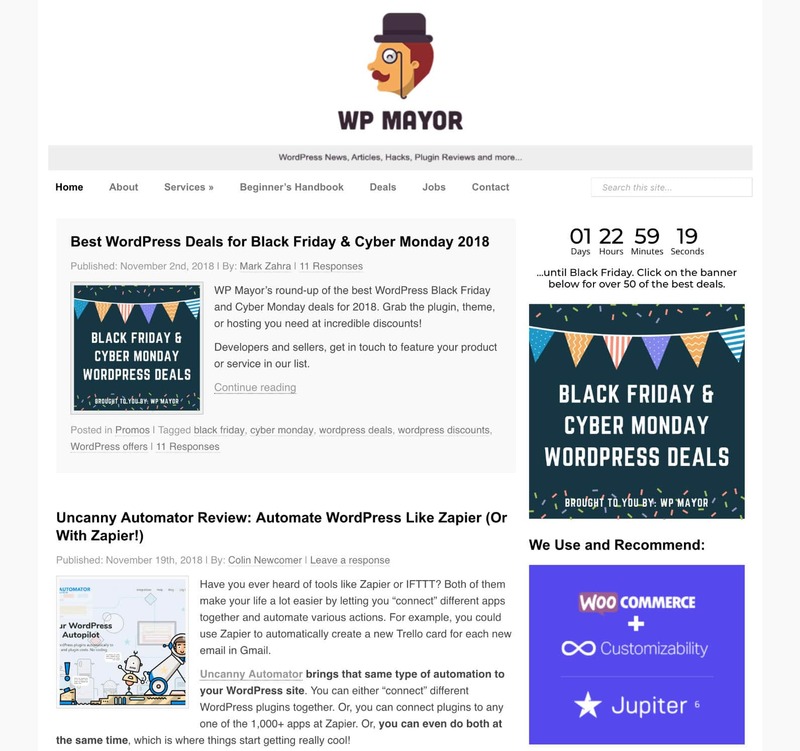 WP Mayor is one of the oldest and most popular WordPress resources on the web! Check out how they got it started, some of their challenges, and projects they’re currently working on. Typically our Kinsta Kingpin series only has one interviewee, but this time around we thought it would be interesting to change things up and get some insights from this powerhouse duo. I started out as a freelance website developer and for this reason, I soon needed a CMS to implement on my clients’ websites. This was back in 2006 and the market share for Open Source CMSs was still split a number of ways with Mambo/Joomla, WordPress, Drupal and MODx all vying for the top spot as CMS of choice. I started out with Joomla (then called Mambo) but soon realized that it was overly complicated for the clients to use. Shortly afterwards I discovered WordPress and have never looked back since. My background didn’t have much to do with WordPress or websites, to be honest. Until I was 20 I was a University student studying to become an architect. Two years in I realized it wasn’t for me. After that I spent quite a few months trying out online courses about web development, going into the basics of HTML, CSS, JS, and PHP. At the same time, I was managing my hockey club’s website using WordPress for the first time. After a chance encounter with Jean, we ended up discussing the possibility of me writing a few simple articles for WP Mayor to see how that goes. As they say, the rest is history. After a few months writing articles, I moved into basic support for the WP RSS Aggregator plugin. Later I got introduced to other areas of the business, eventually moving into a project management role, and as of November of this year, the role of CEO. Q2: What should readers know about the companies/projects you’re involved with? WP Mayor is one of the most visited WordPress resource sites on the web, and I run that together with my wife Alyona and Mark. We also have several writers to help us keep pumping out great content on a daily basis. I also love building products and the result of that passion is our product side of the business, consisting of WP RSS Aggregator as well as a few extensions for Easy Digital Downloads. WP RSS Aggregator has thousands of users and several premium add-ons. 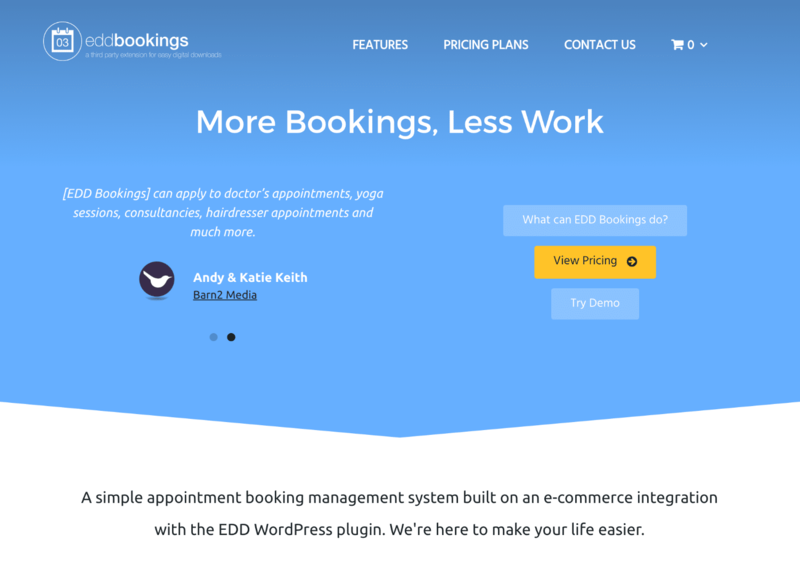 Lately, we are working hard on EDD Bookings and I am very optimistic about this plugin as I have spoken to countless people over the years who have urged me to create a booking solution for WordPress. Last but not least, I co-host the Mastermind.fm podcast which is all about building successful businesses on the WordPress platform. I thoroughly enjoy the chats with my co-host James Laws, as well as those with our interviewees. I am really looking forward to improving as a podcast host and growing this project further. We’re a small team when you consider the projects we’ve taken on in the past couple of years. We’re only me, two developers and one full-time support engineer (aside from Jean, of course). That being said, it’s a dedicated group of people. We love what we do and come into work every day excited to be working on projects that will help make other people’s lives easier and their businesses more successful. That’s certainly the case right now. We’re growing the EDD Bookings plugin into a fully-fledged booking system for WordPress. That’s been an exciting process as we’ve been getting more involved with UI/UX design and understanding our users’ needs in detail. The WP RSS Aggregator plugin is established in its space now, so we’re focused on maintaining the plugins while making improvements elsewhere. For instance, improving our knowledge base and support offerings, making our website more user-friendly, and planning UI/UX changes for easier feed management on the back-end. WP Mayor has now become one of my favorite projects. We’re in the process of revamping the website to continue providing valuable resources to our readers. Being able to work more closely with our writers, affiliates and partners has been fun as it’s opened up a new world of opportunities. Lastly, I can’t forget the Mastermind.fm podcast. It’s going strong and it has been a stimulating experience to speak with some of the smartest people from within the WordPress space and beyond. Q3: What challenges did you face in building your businesses? The fact that I was constantly traveling wasn’t easy; it was hard to juggle work and travel planning plus getting used to new places, finding co-working spaces etc. On the other hand, I was lucky enough to find great people to work with us and we now have a fantastic remote team that I can rely on 100% even when I’m traveling. As I explained earlier, I was only part of the building of our business alongside Jean Galea, so I can’t take anywhere near full credit for the work that’s been done so far. That being said, for me personally, it’s been a challenge to adapt to my new role without sacrificing parts of my personal life. There’s always some small fire to put out or someone who needs your help with something, so it becomes key to find the right balance and prioritize everything accordingly. I like this kind of challenge though, so I’m curious to see what I learn from this process. Q4: Did anything surprise you during the process of growing them? I can’t think of anything in particular but I’m very much learning as I go, so challenges are encountered on a daily basis. I love entrepreneurship though so this is all part of the game. Since this is all a process and it’s not something I had studied or been involved in before, it’s all about learning as I go. I’ve thankfully had the opportunity to be guided by a great mentor in Jean, as well as other great folks I had the opportunity to learn from along the way. One thing I could mention here is the amount of small details that go into a job like this. You’re constantly being pulled in different directions. No matter how much you read or talk to others about it, experiencing it first-hand is completely different. It’s been surprising, but invigorating once you start seeing positive results. Q5: What does the future look like for WP Mayor? We hope to introduce new features to the site and improve the design to make certain content more accessible. The site has grown immensely over time and so we need to make sure that a new user can find what he needs without too much searching around. The main aim is, of course, to grow the audience and perhaps launch a podcast in the near future. The future of WP Mayor looks bright. We’ve got plans in place, and others in motion, to continue building upon the platform we have today. We still produce quality content on a weekly basis and we’re looking for ways to offer even more to our readers. I can’t share too much about our plans, but you should definitely keep an eye out for some gradual change in the coming months. Q6: What’s the WP community in your area like? Being a digital nomad that is a hard question to answer, however, I can tell you that the WP community on a global basis is really awesome. Whenever I move to a new country one of the first things I do is attend a WordPress meetup to get to know people. In Chiang Mai, I even founded the local WordPress meetup and made several friends with whom I have remained in touch along the years. Unfortunately, since I currently live in Malta, the community seems to be quite small. We’re a tiny island in the Mediterranean, and although there are a few small meet-ups during the year, my best bet is to visit more WordCamps abroad, such as WordCamp EU. I love to travel and practicing several sports, depending on the location that I’m in. I also love reading across a wide range of topics. At the moment my focus is on getting fit again after a few months of getting too lazy (a pitfall of working from home). I’ve gotten back into 5-a-side football matches with friends which we try to do on a weekly basis. Aside from physical fitness, I’ve also been working on my mental fitness, introducing more reading and podcasts into my routines. The plan is to keep all this going to phase out the bad habits you can develop while working remotely from home. Q8: Who should we interview next, and why? My podcast co-host James Laws, all-around great guy and he’s doing a great job with Ninja Forms. I would recommend a couple of people I’ve had the opportunity to get to know more lately. Firstly, Markus, the CTO of ThemeFusion who recently hit $25M in sales on Envato – we had a great episode over on the Mastermind.fm podcast about it. Secondly, Michiel Heijmans, COO of Yoast. We also had a podcast episode with him lately and he’s certainly got a few insights that would be worth sharing with a wider audience. Want to connect with Jean and Mark? You can find Jean Galea on LinkedIn or Twitter. You can find Mark Zahra on LinkedIn or Twitter.